.·° Point 8 Forum °·. Tom Hunter creates contemplative photographs that often depict the travelers and squatters inhabiting his community of Hackney, a borough within East London. Utilizing the sprawling post-industrial relics of Hackney—its untamed landscape, abandoned dwellings and warehouses—Hunter creates striking images that reference historical paintings, including those by 17th-century Dutch master Johannes Vermeer and 19th-century Pre-Raphaelites such as John Everett Millais, among many others. In the winter of 2005, Hunter was invited to present his photographs in London’s National Gallery of Art, a distinctive invitation offered to few contemporary artists. Hunter began to receive acclaim in 1997 for his series Persons Unknown; thereafter, he created three more series: Travellers, Life and Death in Hackney, and the most recent Headlines project. His enticing images illustrate or extend a narrative, allowing the viewer to further contemplate the story contained within these carefully staged compositions. He appropriates images from art historical paintings, like many Postmodernist artists, but uses this strategy to bring attention to the inhabitants of Hackney, where his still resides. Though there may be humor in some of his photographs, Hunter avoids smug insider jokes that can make some appropriated images so cloying. Key to the effectiveness of Hunter’s art is his exceptional sensitivity to landscape and place. His time spent outdoors, observing the effects of light and the seasons, has had a profound effect on his ability to create such compelling photographs that are reliant upon natural light. “At 21 I escaped to London and became a tree surgeon for the Royal Parks,” writes Hunter. “During this time I became a squatter in Hackney with little income; it became the only way of living in London at the time.” A number of the squatters and travelers whom Hunter depicts in his photographs are people he has befriended: artists, students, and performers who choose a modest lifestyle, enabling them to practice their craft. Through his Persons Unknown (1997) and Travellers (1996-1998) series, Hunter sought to present a more positive representation of their way of life. Hunter’s photograph differs from Vermeer’s painting in that it includes an infant bathed in late-afternoon light and resting on a crocheted blanket. The baby’s vulnerable presence heightens the plight of the young mother, who is being notified that she is to be evicted from her home. 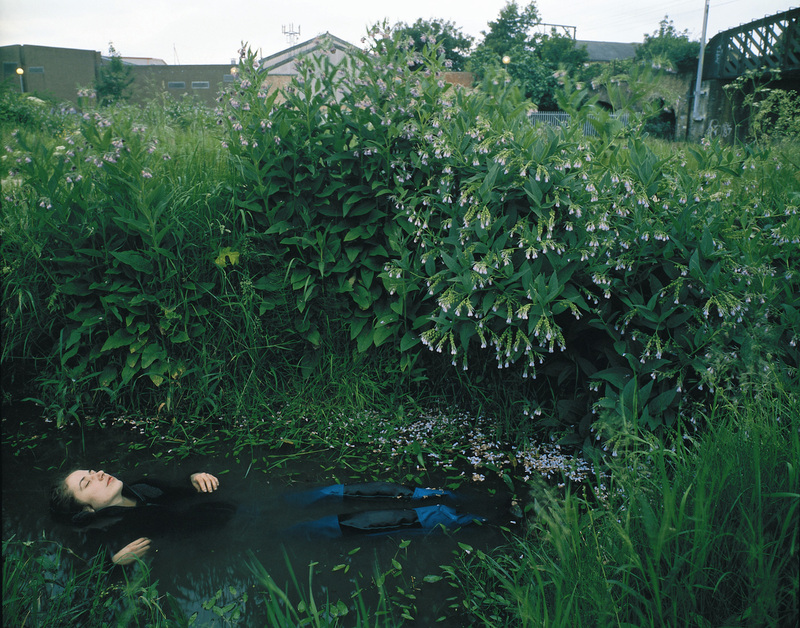 Tom Hunter’s subsequent series, Life and Death in Hackney (1999-2001), ventures out from contained interiors to the expansive landscape of Hackney, with its warehouses and abandoned spaces that border the urban landscape and the countryside. While all of Hunter’s photographs imply a narrative, his most recent Headlines series (2002- ) is gleaned from headlines featured in the local paper, the Hackney Gazette. This publication contains direct reportage about crimes within the neighborhood and contains sensationalized details of the underside of society. Bringing into question the boundary between reality and fiction, the scenarios playing out within these staged photographs seem to be more voyeuristic and cinematic. They are closely aligned to historical paintings and theatrical compositions, staged in a manner to convey narratives and significant events from the past. Hunter recreates acts of violence reported in the paper, as in Road Rage Thug jailed for Attack on Priest, in which an imposing man is about to pummel a priest who is lying on the ground beside his car. This photograph has compositional similarities to Guercino’s (1591-1666) The Dead Christ mourned by Two Angels, c. 1617-18 (The National Gallery, London). Bounding Buddhist rushes to the Rescue of Neighbor’s Pets (2005) is a visually rich composition, depicting a young monk protecting a rabbit from a vicious fox. The fox has already claimed one victim, as evidenced by a lifeless, mangled carcass on the grass. The composition of this photograph was inspired by a Ludovico Carracci (1555-1619) painting depicting St. Francis of Assisi meeting Mary and the infant Jesus (_The Vision of Saint Francis_, c. 1583-86, Rijksmuseum, Amsterdam). St. Francis is reputed to have had a special connection with animals and nature, so it is fitting that Hunter’s more contemporary interpretation depicts an animal being sheltered from danger. In all four of his series, Tom Hunter masterfully reveals how contemporary art can refer to the past in order to illuminate the present. His sensuous photographs function on a variety of levels; they are meticulously composed vignettes that also convey a message about community and place. The compelling and open-ended narratives that Hunter creates engage the viewer and invite further contemplation of the story that is unfolding. Chevalier, Tracy and Collin Wiggins. Tom Hunter: Living in Hell and Other Stories, London: National Gallery Company, 2005. Hall, Tarquin. Salaam Brick Lane: A Year in the New East End, London: John Murray, 2005. Platt, Ron. Borne of Necessity, Greensboro: Weatherspoon Art Museum, 2004. 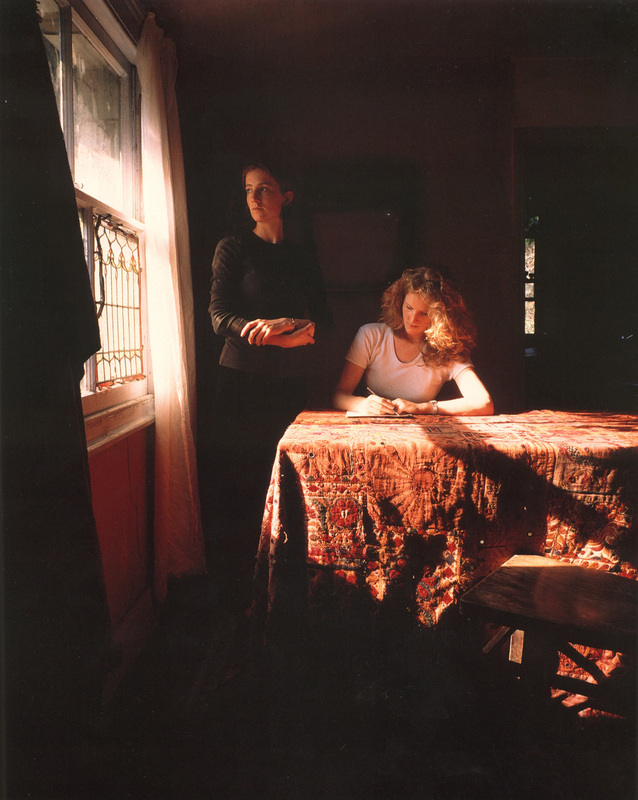 Tom Hunter, Hatje Cantz Verlag, Ostfildern-Ruit, 2003.
ii) Tom Hunter will present a talk on Saturday, February 3rd at 3:00 pm in the Mint Museum of Art’s Van Every Auditorium. This lecture is free and open to the public with museum admission. I was looking for a picture of Ophelia and saw this,its beautiful,its a long way from working in Regents Park 1987. When Will Uptown Get the Park it Deserves?